In this video tutorial we will show you how to delete word endnotes. In order to delete word endnotes, open your web browser. 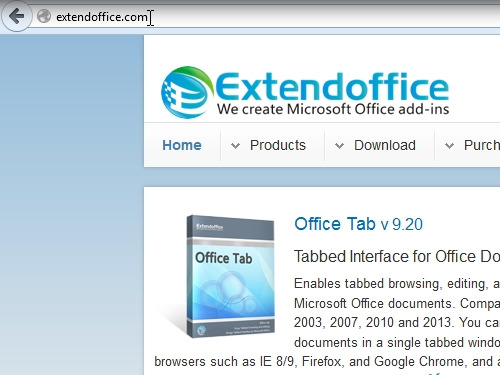 Go to “extendoffice.com”. 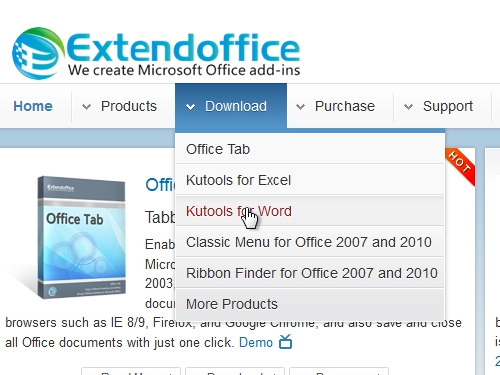 On the following web page, move the mouse on the “download” tab and choose “Kutools for Word”. On the next web page, press “Download now”. Save the file on your hard drive. When the download is complete, open the file. In the appeared setup window, select the setup language and press “ok”. Accept the license agreement and choose a destination where Kutools should be installed. To start the installation process, press “Install”. Wait until the installation process will be completed. Open the Microsoft Word. Go to the “Reference” tab. For example, click “Insert Endnote” a few times. Go to the “Kutools” tab. Click “More” and choose “remove endnotes”. When you see the warning: “Do you want to remove all endnotes”, press “Yes”.